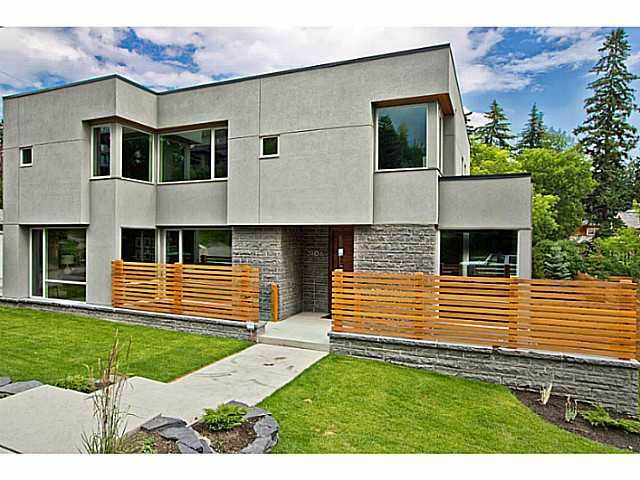 IMMEDIATE POSSESSION AVAILABLE - *Open House Every Thurs/Fri/Sat/Sun 12:00-5:00 pm* Elegantly conceived into a quiet streetscape in Elbow Park on an oversized lot, adjacent to a new park, Empire Custom Homes has developed an superior contemporary styled home. Integrated design compositions distinguish this home from other custom dwellings. Exclusive brands supplied by Empire Kitchen and Bath establish new benchmarks for luxury and Empire's experience brings craftsmanship back to home building. One of Calgary's most desired neighborhoods, Elbow Park provides the ideal location to live and enjoy all that Calgary's inner city has to offer. Established in the early 1900's, Elbow Park offers convenient access to downtown, the 4th Street and 17th Avenue shopping districts, the Glencoe Club and Calgary's river pathway system. Elbow Park exhibits a strong community oriented spirit, is in close proximity to several esteemed schools, and is an ideal location in which to raise a family.